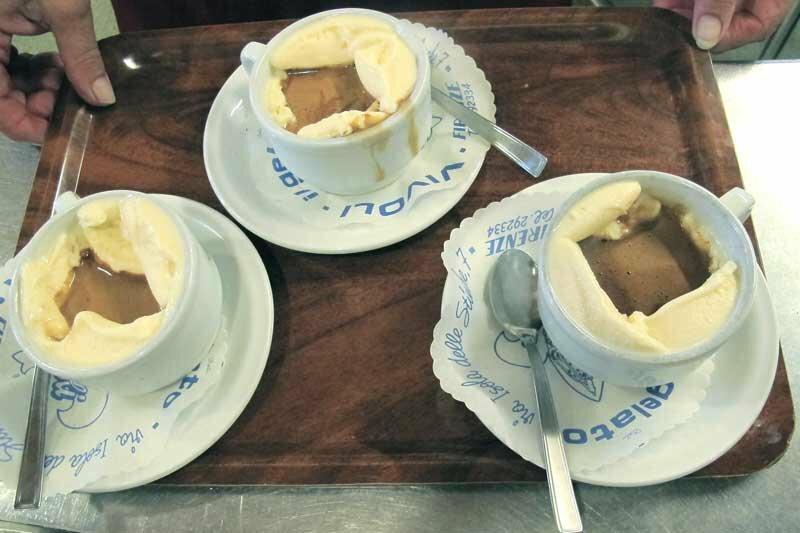 Fathom editorial director Jeralyn Gerba traveled around Italy with her tiny plastic gelato spoon and landed at her old Florentine favorite, Vivoli. FLORENCE – When is a scoop of gelato more than just a scoop of gelato? When it's made from a prized, third-generation, so-secret-its-not-even-written-down Florentine recipe in which the only ingredients are milk, eggs, sugar, and dairy adoration. This is what I tasted for myself at Vivoli, a humble gelateria on a funny side street off Piazza Santa Croce that I frequented as a student more than a decade ago. It’s a destination family-run gelato spot, opened by brothers Serafino and Raffaello Vivoli as a latteria and neighborhood coffee shop in 1929. In the early ‘30s, Raffaello started whipping up small batches of cream custard and deep-freezing them between layers of ice and salt. It was a hit at home with locals and tourists, and it launched a new family business that's been roaring for decades. 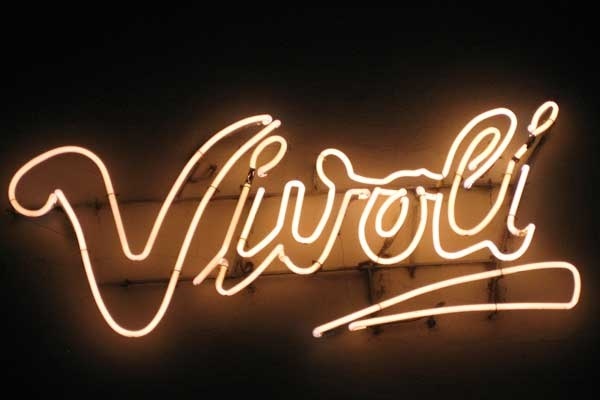 Since then, Vivoli has been obsessed with making all-natural gelato with the very best seasonal ingredients and without additives or preservatives of any kind. There are about two dozen flavors, a mix of seasonal fruits (fig is the holy grail this time of year), nuts (Sicilian pistacchio, chestnut), and family favorites (rice pudding, baked pear). 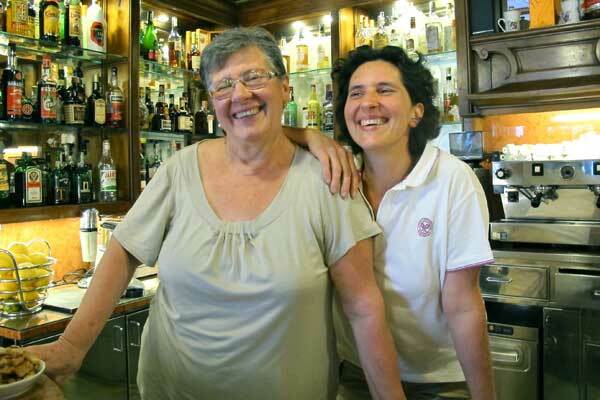 Silvana and her mamma, the ladies in charge at Vivoli. Silvana, Rafaello’s granddaughter, is the head gelato maker. Over a crazy delicious lunch of tagliatelle and Tuscan wine at her favorite neighborhood spot, L’Antica Noe, and then later over the hands-down best affogato in town at Vivoli, the excellent Italian hostess and recipe gatekeeper gave a few pointers for navigating the gelato bins and waffle cone towers of her country. 1. Color: Good gelato is not flashy; its color should almost be more pale and subtle than you are used to. If the strawberry is hot pink or the mint is fluorescent green, step away from the display case. 2. Volume: Be incredibly skeptical of huge gelato mounds under glass freezer cases, as it probably means there are stabilizers in the cream, along with other stuff you don’t want to be ingesting. 3. Texture: Real gelato should be soft and creamy. The unnatural stuff is shiny and glossy. 4. Seasonality and Locality: Hazelnuts from Piedmont. Summer peaches from Umbria. Early fall figs from Tuscany. Notice where the ingredients are from and which fruit is in season. You should not find blueberry gelato in December. 5. Cones: At Vivoli, there's a strict no-cone policy. Why take unadulterated gelato and scoop it into a cone made out of lord-knows-what? When you see this sign, you know you've hit the sweet spot. As for the panna on top, feel free to ask for extra. All the Italian kids do.